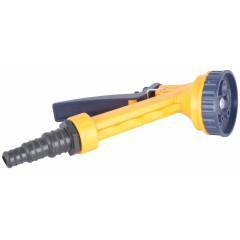 Ideal for watering plants, vegetable patches. As per your need rotate the the adjustable head and choose from 5 Patterns to spray water. Compatible with - 13mm -16mm -19 mm Hose.